RSC recommends their plays for general audiences. Local rating to be confirmed. Latecomers will be admitted at a suitable time. 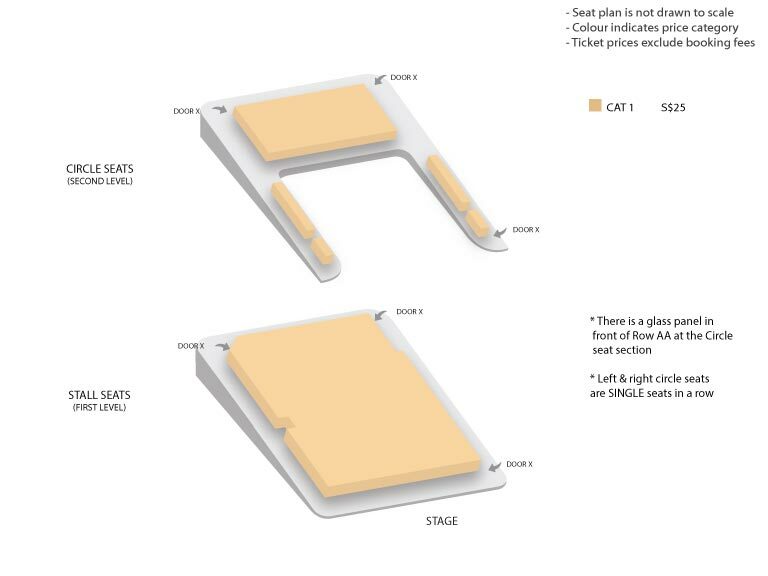 There is a glass panel in front of Row AA at the Circle seats section. Left & Right Circle seats are SINGLE seats in a row. Please be informed that Balcony BL/1-2 and Balcony BR/1-2 at the Circle seats section are restricted view seats. For the latest SRT news and to be the first to find out what shows are coming up next, like us on Facebook and follow us on Instagram. To enjoy benefits like complimentary tickets, click here to become a Friend of SRT. The Little Company’s production of Roald Dahl’s Fantastic Mr Fox in 2012 was a huge hit with parents, teachers and children.“Very interactive”“Engaging and true to the book!”“Enjoyed by both children and adults”This July, we’re excited to present Fantastic Mr Fox in Mandarin!Fantastic Mr Fox is a classic tale of goodies and baddies. It is an inspiring story about the brave and clever Mr Fox who, with the help of his family and friends, outsmarts three farmers’ nasty schemes in order to provide food for the animal community.The farmers Boggis, Bunce and Bean have been digging up the animals’ home, trying to get Mr Fox by any means possible. Trapped underground, Mr Fox and his family and friends are starving, leaving Mr Fox with no choice but to devise a plan to find food for everyone to survive.Filled with humour and packed with action, this is a fantastic show to be enjoyed by children of all ages. Gretel’s life is turned upside down when her new brother Hansel arrives. He gets all the attention, the cuddles and the kisses and poor Gretel is told to ‘grow up’ and remember that she’s ‘a big girl now’! But Gretel doesn’t want to be big! And she doesn’t want the annoying little brother who’s too small to play. When Mother and Father take the children to the forest, Gretel has a chance to get rid of the little brother once and for all. But the forest is full of danger and Gretel will have to learn to get along with Hansel if they are both going to survive the adventure. Based on the well-loved Brothers Grimm classic fairy tale, Gretel and Hansel is a heartfelt, humorous and exciting tale about sibling rivalry, family love, courage and understanding what it means to be a big sister! The two children become both characters and storytellers as they bring audiences on a thrilling, imaginative journey. Gretel and Hansel will help encourage children to work together, appreciate their siblings and understand the importance of family love.